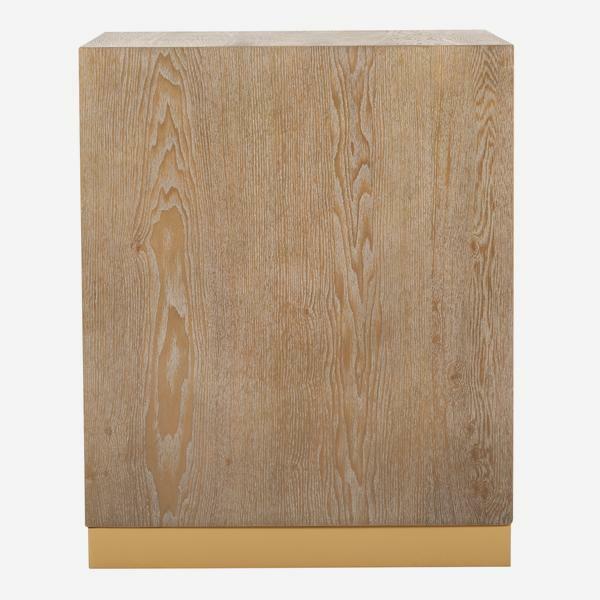 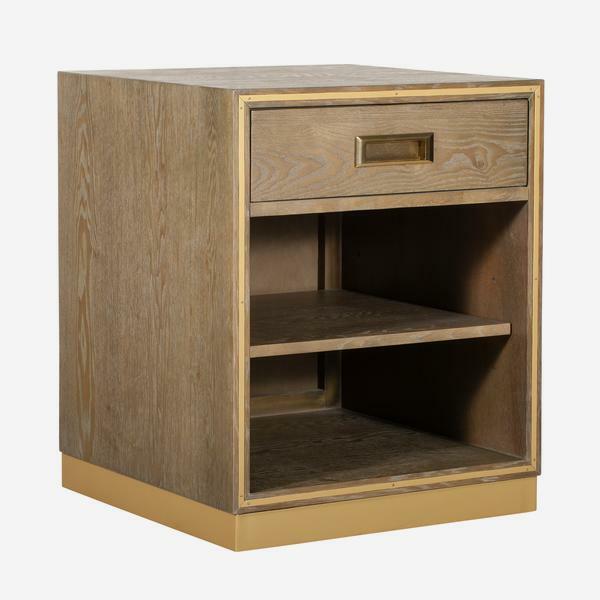 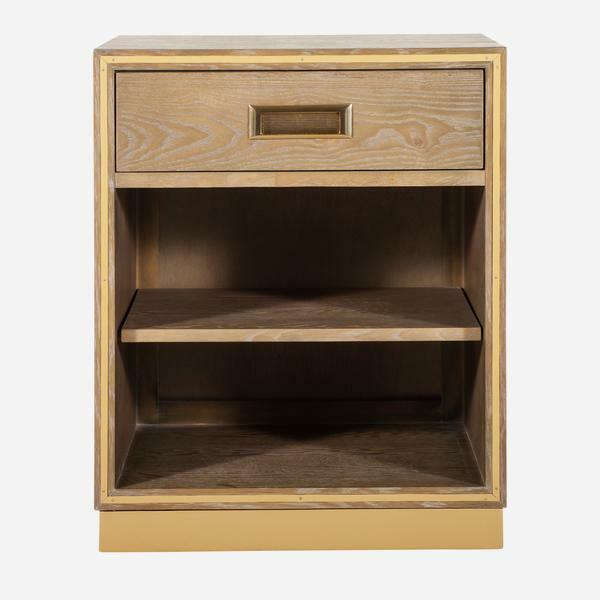 A relaxed, light-oak finish side table chest with two storage shelves and a slim top drawer. 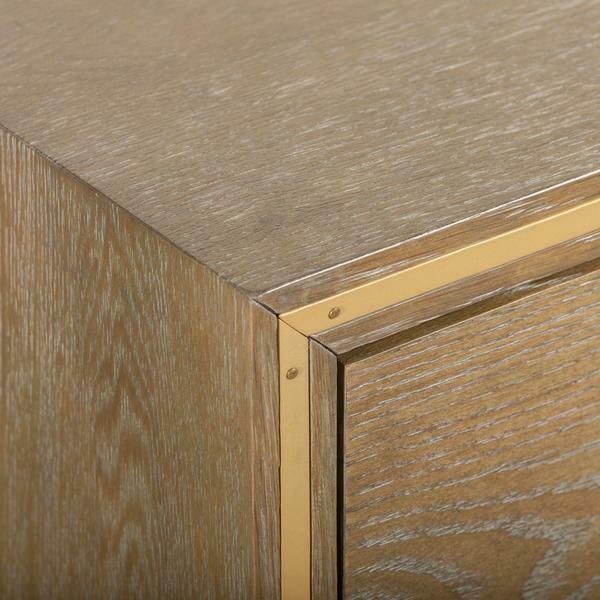 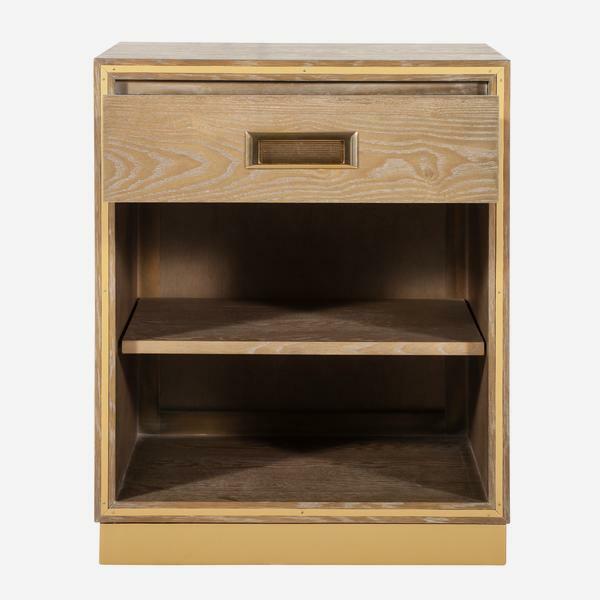 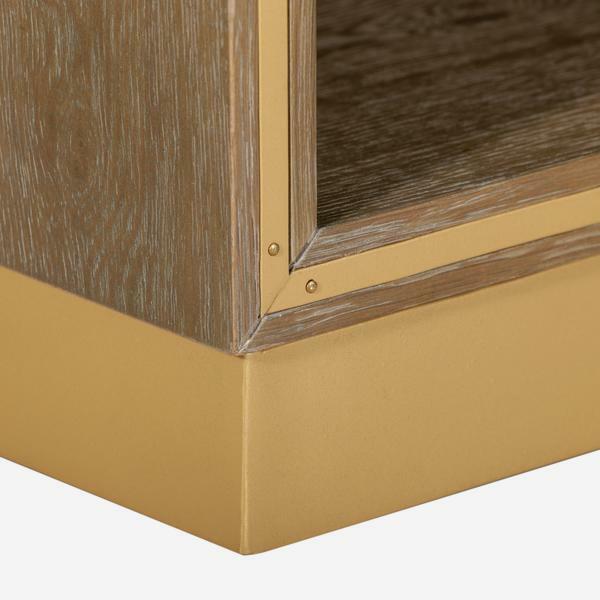 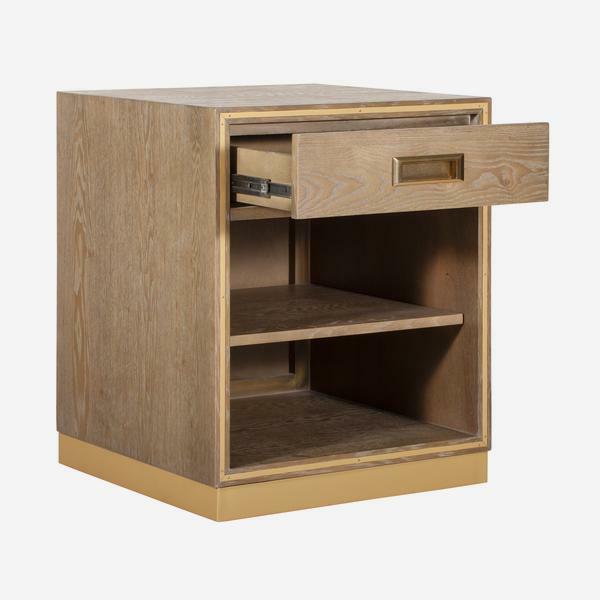 Ellison is a practical bedside piece but its contrasting matt brass finish border inlay also adds a sleek edge to a room. 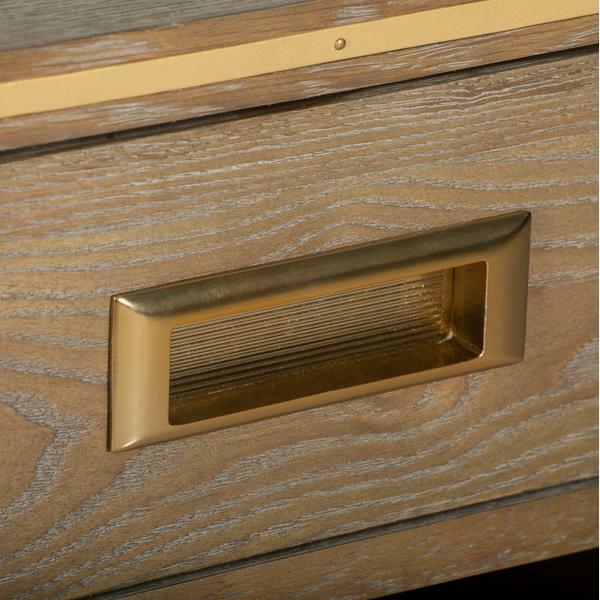 With the same brass finish stand and drawer handle, Ellison shows as much satisfying coordination as material contrasting cool.